We also often DON’T pray because, well, we aren’t sure WHAT to pray for. In light of that, below is a complete list of Jesus’ prayer requests–what He prayed for and what He told His followers to pray for–in the four Gospels (Matthew, Mark, Luke, and John). I pray that this list will serve to buttress and focus our prayer life–giving us a practical idea of what we can specifically be praying for–as we take up our cross each day and follow Christ Himself. 1. Pray for God to bless those who hurt, harm, and mistreat you (Matthew 5:44 NIV; Luke 6:28). 2. Pray that God the Father’s Kingdom (way of life) would come on earth like it has come in heaven (Matthew 6:9-13). 3. Pray that God the Father’s will (desires) would be done on earth like it is done in heaven (Matthew 6:9-13). 4. Pray that God the Father would give us our DAILY bread (what we need for TODAY) (Matthew 6:9-13). 5. Pray that God the Father would forgive each of us for our sins (Matthew 6:9-13). 6. Pray that God the Father would help us to forgive those who hurt, harm, and mistreat us (Matthew 6:9-13). 7. Pray that God the Father would not lead us into testing (Matthew 6:9-13). 8. Pray that God the Father would deliver us from the evil one/devil (Matthew 6:9-13). 9. Jesus prayed for little children (Matthew 19:44). 10. Pray for those Christians who are running away from persecution during the end times (Matthew 24:20; Mark 13:14-19). 11. 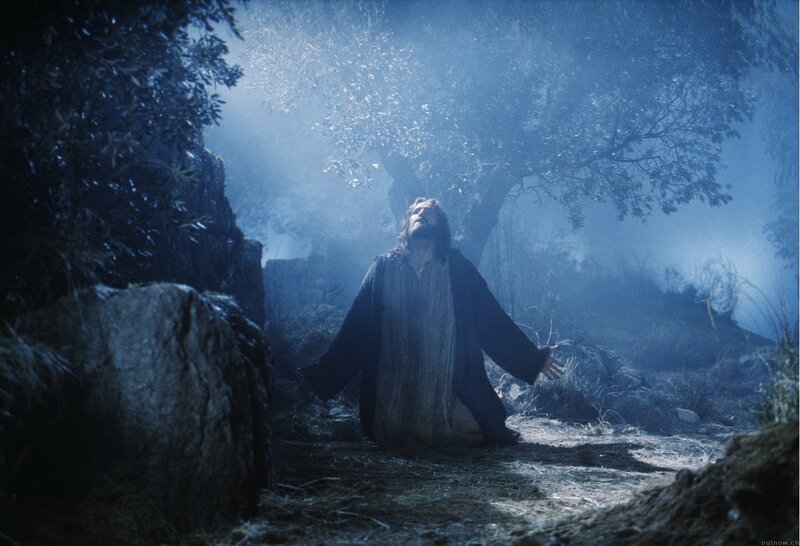 Jesus prayed that God the Father would spare Jesus from His upcoming crucifixion (i.e. cup of suffering)…but then Jesus also prayed that what God the Father wanted would happen (and not what Jesus–God the Son–wanted would happen in this specific situation–see point #3 above) (Matthew 26:39, 42, 44; Mark 14:35, 39). 12. Pray that each of us will not fall into temptation (to sin) (Matthew 26:41; Mark 14:38; Luke 22:40, 46). 13. Pray for demons to stop possessing people (Mark 9:29). 14. Pray for what you need (make specific requests to God the Father) (Mark 11:24). 15. Jesus prayed as He was being baptized (Luke 3:21). 16. “Jesus often withdrew to lonely places and prayed” [He removed Himself from His daily activities and prayed by Himself to God the Father] (Luke 5:16). 17. Jesus spent an entire evening [all night] praying to God the Father (Luke 6:12). 18. Jesus prayed privately with His group of disciples (followers) (Luke 9:18). 19. Jesus prayed outside with three of His disciples (a small group) (Luke 9:28). 20. Jesus wants us to “always pray and never give up” on praying (Luke 18:1 NIV). 21. Jesus warned us to NOT to pray arrogantly–e.g. comparing ourselves as “better/holier/more faithful” than other people (Luke 18:10-14). 22. Jesus wants us to pray for mercy from God the Father, truly admitting/taking responsibility for the sins that we commit (Luke 18:10-14). 23. Jesus warned us to NOT pray long prayers in public in order to impress people/get ourselves noticed (Luke 20:46-47). 24. Pray that God the Father will help you to escape/endure/overcome the trials and suffering that you will face in the future (Luke 21:36). 25. Pray for other Christians that their faith in Jesus will not fail (Luke 22:32). 26. Jesus prayed when He was suffering severely (i.e. in anguish) (Luke 22:44). 27. Jesus prayed that God the Father would glorify Jesus–reveal His fame to the world–so that Jesus could glorify God the Father–reveal His fame to the world. Jesus prayed this knowing full well that intense suffering would be the main tool God the Father would use to glorify Jesus (John 17:1, 5). 28. Jesus prayed that His people–those who believe in Him as Savior–would be one, united, teammates in their shared mission to point others to Jesus (John 17:11). 29. Jesus prayed that His people would have in us the SAME EXACT AMOUNT OF JOY that Jesus has in Himself. Wow (John 17:13). (notice that Jesus DIDN’T pray that the God the Father would remove our suffering from us; rather, that God the Father would protect/comfort/encourage us THROUGHOUT our suffering) (John 17:11, 15). 31. Jesus prayed that God the Father would use His truth to sanctify us–that is, to equip us with everyone thing we need to complete the dangerous mission of sharing Jesus with the world in love, grace, and truth (think of a Himalayan mountain climber being “sanctified” to climb Mount Everest by having all the training, tools, and guides needed to reach the top of the mountain) (John 17:17). 32. Jesus prayed that His people would have the same unity/closeness/friendship amongst ourselves that Jesus has with God the Father. WOW! (John 17:20-21). 33. Jesus prayed that His people would someday BE WITH HIM (i.e. in heaven) (John 17:24). 34. Jesus prayed that His people would someday SEE HIS GLORY (i.e. see with our eyes the fullness/completeness of Who Jesus is). WOW! (John 17:24). Not sure what to pray for? Thanks so much for this, MJ! This is great! Thank you, M.J. It will help me pray according to His Will more effectively and not my own.